This year’s Summer Reading Challenge launches in our libraries tomorrow, Saturday 14 July. The challenge is fun, free and designed for all children whatever their reading ability and it’s been designed to help children to improve their reading skills and confidence during the long summer holidays. picture books, audio books or you can download a book, just as long as they are borrowed from the library. 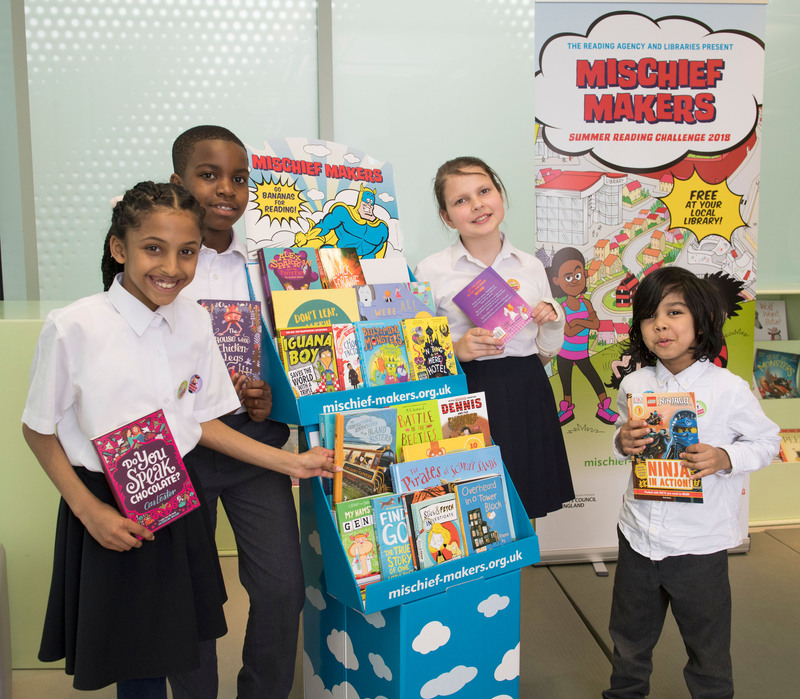 This year’s Summer Reading Challenge is called Mischief Makers – Dennis the Menace, Gnasher and friends invite the children taking part to set off on a hunt for Beanotown’s famous buried treasure. Each of our libraries will be holding special events for children of all ages, some of these are listed now on our website Pop in to your local Kensington and Chelsea library to find out more about the Summer Reading Challenge and collect a special events programme.